The agency’s work during 2015 saw TVCs for three different clients – Coca Cola SA, Toyota SA and KOO – each earn a spot in the Top 10 list, compiled using Millward Brown’s proprietary research tool, AdTrack. In 5th position was ‘Share a feeling, share a Coke’, in 7th was ‘Make your Mark’ for Toyota Aygo, the only vehicle category to feature this year, and taking up the 8th spot was ‘Beating the Best’ for KOO. This performance brings FCB Africa’s total Top 10 positions on the last 10 lists to a phenomenal 25, making it one of the country’s most consistently creative and effective agencies1. In 2010, Millward Brown announced the Best Consumer Liked Advert for the Past 25 Years and the Best Consumer Liked Advert of the Past Decade. Both of these went to FCB – the former for Sasol Super 100 ‘Glug Glug’ created in 1991 and the latter for Klipdrift ‘Met Eish’ created in 2005. FCB Africa Chief Creative Officer and Group CEO, Brett Morris, is understandably very proud of the agency’s performance on the 2015 list as well as its consistency. FCB Joburg MD, Thabang Skwambane, whose teams were responsible for all three of FCB’s Top10 ads this year, added it was interesting to note that Toyota SA was the only automotive brand to feature in the Top 10 while Coca-Cola and KOO were two of three FMCG brands. The other brands featuring in the Top 10 were in the telecoms and casual dining/fast food categories, he said. 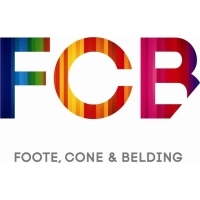 FCB Africa has notched up 25 Top 10 positions on the last 10 lists – that is, Most Liked TVCs in 2006 through to the list published this week, Most Liked TVCs in 2015. It includes the agency’s performance in 2007 when Millward Brown still compiled two lists: LSM 8-10 and LSM 5-7.